On Saturday January 26, 2019 the World Champ Cumby ISD Robotics team will host a qualifying event for other Texas high school teams. 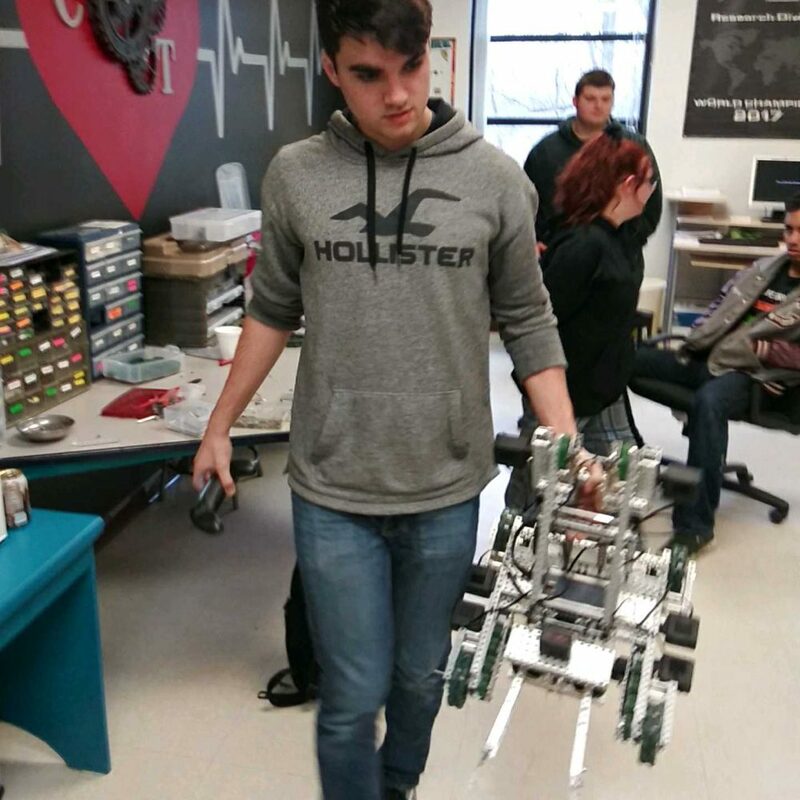 About 20 teams from nearby and across the state who compete in the VEX Robotic Program competitions will arrive at Cumby High School for the day-long qualifier. Matches will begin at 9am, and spectators are welcome to attend free of charge. Team members are Jadryen Long, Akayshia Smith, Lacy Jacobs, Cillian Smith, Kadden Cota and Ken Chapin. Senior students Long, Jacobs, Cota and Chapin are veterans of the school’s World title. Robotics coach is Ms. Lee Gifford who sponsored the team to the 2016 win at World and in their first and second-place National wins. 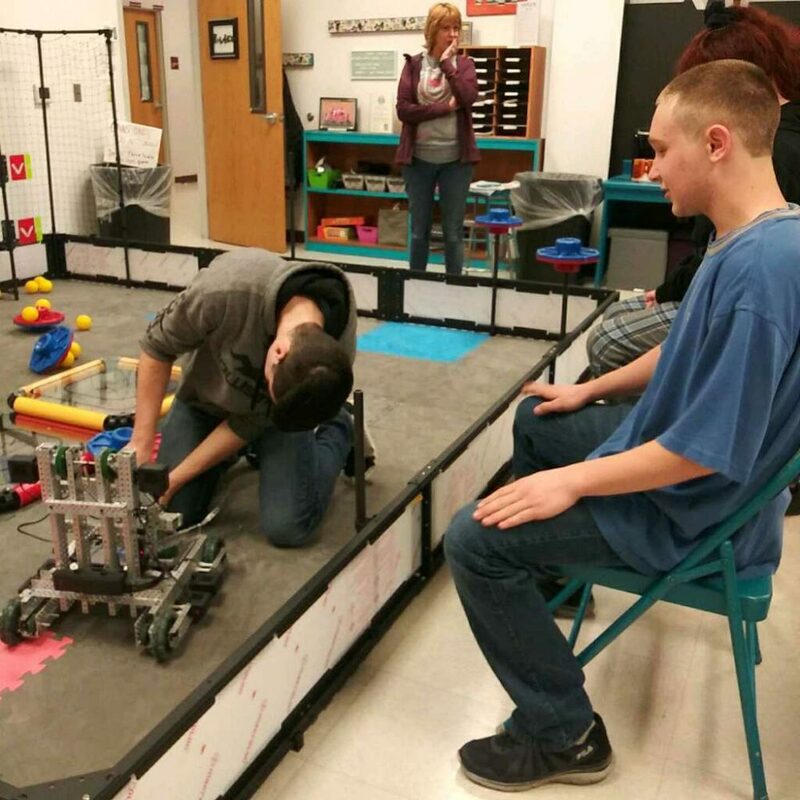 The 6-member team has been working feverishly since school resumed in 2019, getting their robot built and strategies developed for the “Turning Point” game, the recommended contest game. Match winners will be teams with the fastest and highest-scoring robots in the tasks assigned. 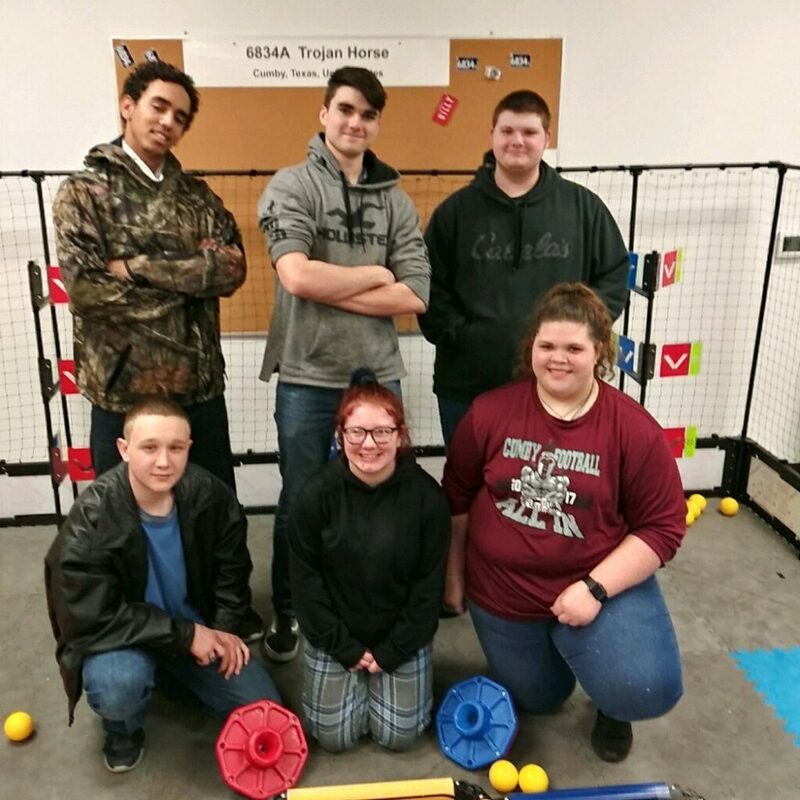 The Cumby team demonstrated how their robot must enter and maneuver the playing field, lift and place a designated object, toss a ball to hit a target, then park itself in a designated space. This year’s qualifying rounds will differ from previous ones due to the newly developed VS electronic robot technology required of the high school-level teams. Fundraising was necessary due to the cost of the new robot technology. This is Cumby ISD’s seventh year to compete.